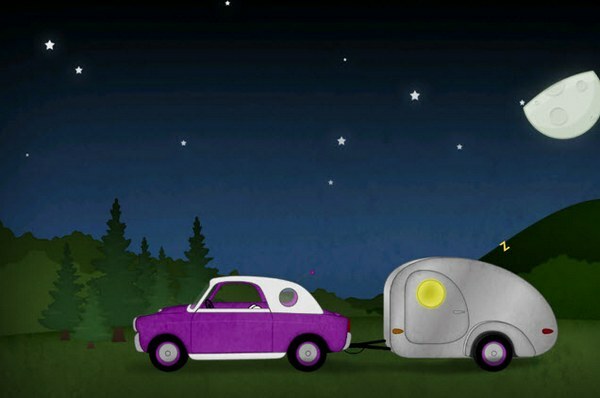 Start your engines, it's a Tizzy Driving Adventure! Start your engines, it’s a Tizzy Driving Adventure! When I’m testing a new app, I put it on my phone and let my kids discover it for themselves (they’re generally pretty quick at spotting something new). I also let them open the app and have a go on their own – it’s always good to see how intuitive the design is and also how long it holds their interest. After playing the new driving app from Tizzy Labs for a significant amount of time, I thought it was time to interrupt my five-year-old. Barely looking up, she said “Shhh! I’m concentrating on the road!” (Hmmm… I wonder where she heard that?!). Kids, grab your car keys and start up Tizzy Driving Adventure. 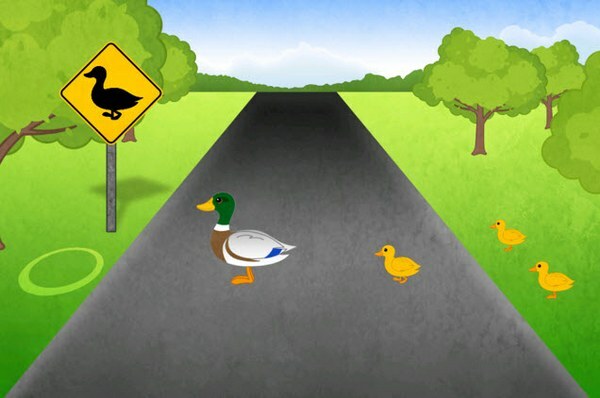 Choose your character, pick your route, start the car and you’re off on your very own car trip. Kids will delight in the realistic dashboard which includes a working horn, indicators, windscreen wipers, hazard lights and even a radio with three different stations! As you drive, you tilt your devise to ‘steer’ (thankfully there’s no accelerator!). Of course there are things to do along the way, including bird spotting through binoculars, strawberry picking, helping a family of ducks cross the road, a spot of overnight camping and more. 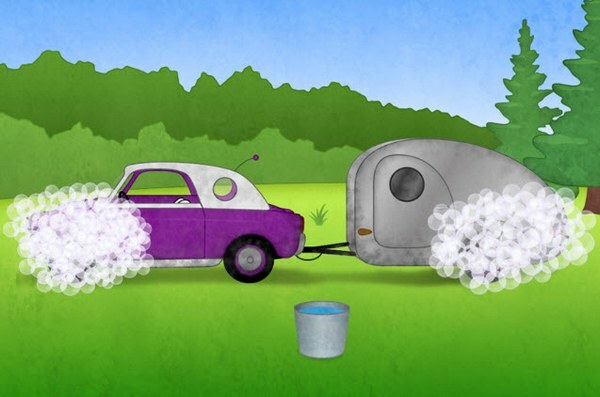 At the end of the journey, don’t forget to give the car and caravan a good wash and polish! Like the Tizzy Seasons app, none of the in-app games require high levels of speed or dexterity to operate and all have enough repetitive elements for little kids to get the hang of what they have to do. Tizzy Driving Adventure is available via iTunes for $2.99 and can be played on iPhones and iPads. The app is suitable for children aged three years and over.